The following report and recommendation relate to Lucky Nigeria Building Material. The planned project is to be fully implemented with an investment of N23,470, 000 with a fixed capital of N7,470,000 and a working capital of N16,000,000. The proposed project is to be located in Calabar, Cross River State Because of good available market and access road. There is a ready market for the planned project. The level of demand for the product is quite high by virtue of the fact that Calabar is a city with high concentration of people. The financial position reveals a good liquidity and stability. The project turnover for 2016, 2017 and 2018 respectively is N31,420,000; N36,133,000; and N41,552,950. Net profit for 2016 is N4,850,000, increasing to N5,683,000 in 2017 and N6,694,700 in 2018. 1.7 The funding requirement is N23,470,000 which is expected to come from the Federal Government as grant for the Amnesty re-integration programme. Our business will focus on the sales of high quality and assorted building material items from local and international manufacturers for domestic and industrial uses. To be a major dealer and a household name in the sale of high quality building materials products to our esteemed customers. To deliver quality building materials products that will meet the building needs of esteemed customer at competitive prices. The promoter wishes to locate the business in Calabar area of Cross River State because of existence of good infrastructure and large population. Our product range will include Cement, Roofing sheets, Ceiling, Doors, Rods, WC & accessories, wheel barrows, paints, and other accessories. Our target customers will include individuals involved in one building or construction work or another, building contractors, corporate bodies, etc. The high demand of building material item has occasioned high level competition in the business. To survive the competition, we plan to offer high quality products as well as excellent service delivery. Building materials items are in high demand as average of 30 persons in our target market area per day has one building related work to do. Increasing economic activities occasioning rapid development as well as the changing lifestyles in tune with modern trends has positively affected the demand of building material items. Therefore, there exists a ready market for building and construction materials. 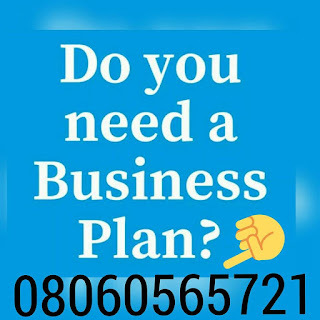 After payment text your name and e-mail address to 08060565721 and you’ll receive your BUILDING MATERIALS BUSINESS PLAN / FEASIBILITY STUDY IN NIGERIA.